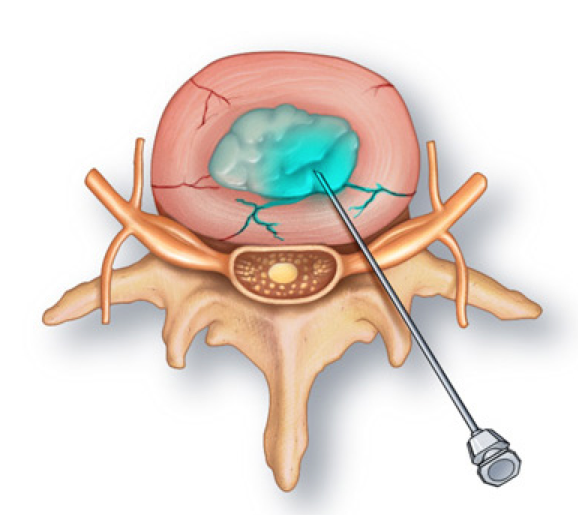 Discogram is a procedure performed to diagnose the reason for back pain in people. It makes use of a contrast dye to inspect the intervertebral discs and determines whether they are responsible for the back pain being suffered by the patient. It is a very simple interventional diagnostic procedure that does not take much time and is usually over in an hour. What are the major indicators for having Discogram? 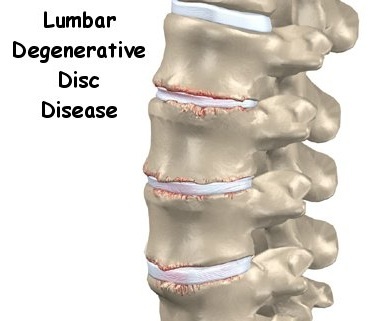 Discogram is indicated for patients who have been suffering from back pain. Since it is a diagnostic procedure it can be performed on anyone who has been having chronic pain in his back. Although this procedure is usually performed to find out if the back pain is being caused by a disc issue, it can be performed on patients who have suffered an accident and are having back pain as a result of an injury. This procedure is also performed on patients who are to undergo a back surgery as well in order to identify the disc that has to be treated. Discogram is a procedure that involves the use of a fluoroscope and CT scanner for obtaining visual images of the spinal discs. The procedure also makes use of a contrast dye which is inserted into the central part of the discs. The task of the dye is to reproduce the back pain of the patient. The images produced by the CT scanner provides the clinician the chance to observe the state of the disc and also to find out if the pain experienced by the patient is indeed caused due to an injury to the disc or not. How does Discogram help the doctor provide treatment? Discogram is a diagnostic procedure which helps the doctor in determining whether the back pain suffered by the patient is a result of a disc issue or not. By providing this knowledge to the doctor, a Discogram can make it easier for the doctor to treat the back pain of the patient. 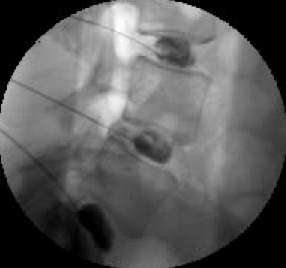 Discogram is performed to confirm that the pain is being caused by the spinal disc (Magee, Zachazewski & Quillen, 2009). What to expect when having Discogram? Discogram is an outpatient procedure and you would not have to get admitted into the hospital to get it done. You will be asked to lie down on your side and the skin above the disc where the injection needle has to be inserted is going to be sterilized and numbed using a local anesthetic. The injection containing the contrast dye will then be injected under the guidance of the fluoroscope. 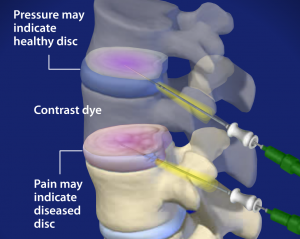 If the back pain is caused by the disc then the contrast dye will reproduce this pain as soon as it enters the disc. What are the risks of having Discogram? Discogram is generally a safe procedure but there is a small chance of complications happening. The biggest risk is that of infections. Moreover, there is a possibility that the back pain experienced by the patient worsens after the procedure. Headache, nausea and allergic reaction to the dye are some of the other complications that can occur during a Discogram. According to Filler (2013) there is also a chance of iodine reaction and X-ray exposure with Discogram. What are the benefits of having Discogram? The most important benefit of having a Discogram is that you get to know whether the back pain you are having is being caused by a degenerative disc or not. Magee, David J., James E. Zachazewski, and William S. Quillen. Pathology and Intervention in Musculoskeletal Rehabilitation. St. Louis, MO: Saunders/Elsevier, 2009. Print. Filler, Aaron G. Do You Really Need Back Surgery? : A Surgeon’s Guide to Neck and Back Pain and How to Choose Your Treatment. Oxford: Oxford UP, 2013. Print.